Welcome to the beautiful Kenai Peninsula, home of Dave Essert Alaska Fishing Charters. I have fished the waters of the Kenai Peninsula for over 20 years and am Coast Guard Licensed and insured. I fish all my charters from my boats, no sub-contractors. 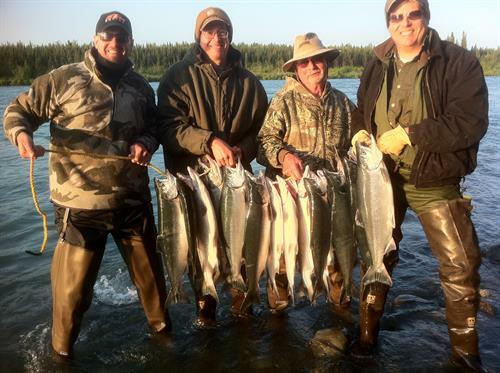 I fish the Kenai River for Salmon & Trout with top of the line equipment and a 20? Willie Guide powerboat. My offshore boat is located in the Homer Boat Harbor where I provide Halibut & Salmon charters from my 30? Koffler with twin 200?s and provide all fishing equipment and fish filleting. Give me a call to book your Alaska fishing trip today.